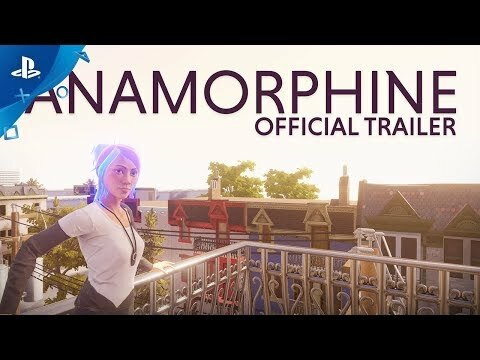 Anamorphine is a first-person surreal exploration game where the player experiences the memories of the main character after an unknown trauma. You play as Tyler, who is finding himself as he hits rock bottom. Discover what happened by journeying through Tyler's memories of his relationship with his wife Elena and her depression. Escape his reality, or face it and figure out how to move on as Tyler's subconscious twists the game in unexpected ways. Will you confront the past and try to find a way to move on, or will you let your inner demons consume you? Tyler, a young man in post-traumatic denial, revisits a succession of milestones that define his relationship with his wife Elena. She falls victim to an accident that robs her of her livelihood and emotional outlet. As Elena quietly slips into depression, Tyler's mental turmoil warps his past as he struggles to come to terms with his guilt and inability to help her. 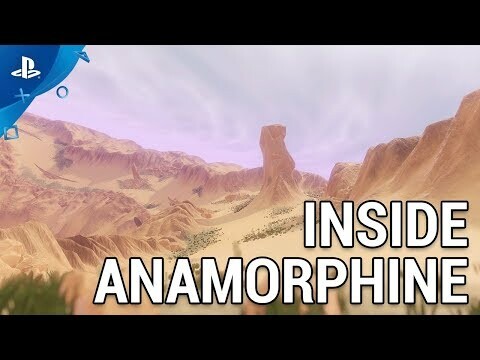 Told with no dialogue or action button, Anamorphine’s narrative comes together in Tyler’s dream-like memories, contorting and bleeding into each other through his mental state. Have you ever been so sad you couldn’t get out of bed? So transported by a piece of music, you felt like you could see into the heart of the composer? So guilt-ridden you never wanted to see the sun again? Of course you have – or at least something like that. You’re human, and you experience a wide range of emotions, some minor and some paralyzingly major. Maybe, like many other humans, you have additional layers of anxiety stirring these feelings into their own unique patterns. Perhaps you suffer from depression that lurks in the background, sanding down the edges and dulling emotions you used to experience. Maybe you’ve experienced trauma that jumps out from around corners like the world’s most sinister prankster, dragging you back to places you don’t want to go. These demons all deeply affect our main character’s psyche, and you’ll discover how they contort his perception of the world as you explore his painful memories. Anamorphine centers on Tyler, a freelance nature photographer, and Elena, a cellist. The couple goes through both good and bad times, which we see from Tyler’s point of view. They’re Americans who have recently relocated to Montreal, so that Elena can join a notable quartet. An accident triggers Elena’s depression and strips her of her livelihood, emotional outlet, and passion. Things get dark for the couple – not horror movie dark, but the type of dark that we all feel in our most isolating moments. You won’t be clicking buttons to navigate. Instead, we lean into visuals and evocative 3D sound, guiding you where you need to go to work through the life events and emotions that feel like they’ve sculpted themselves into a cage. They’ll show you how to look back at your past – only to have it shatter around you like a torn-up Escher painting. You’ll see yourself get stuck in a nihilistic self-fulfilling prophecy of alcohol abuse and denial. You’ll have to face the future, when living in your past may seem like a vastly more tempting option. By the end, your glass can be half full or half empty, and it’s your choice that determines how Tyler deals with his past and moves into his future.